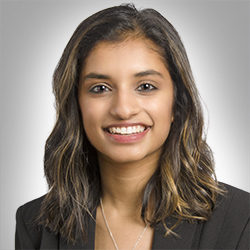 This year, Ankita Varman ’19 of the Martin J. Whitman School of Management and S.I. Newhouse School of Public Communications at Syracuse University has been selected as a Remembrance Scholar. Each year, Syracuse University selects 35 seniors in honor of the 270 people, including 35 SU students studying abroad, who lost their lives in the terrorist bombing of Pan Am Flight 103. The students are chosen based on their distinguished scholarship, citizenship and service to the community. Varman, a management and public relations dual major, is representing Eric Coker, who was an economics student at the University of Rochester. He was abroad in London through the Syracuse Diversity of International Programs (DIPA). “Being a Remembrance Scholar has taught me to make the most of my experience and continue making the most of my experience, not just for me, but for Eric Coker,” Varman said. Varman, a Johns Creek, Georgia native, has spent three summers interning at a variety of organizations. This past summer, she worked as a corporate communications intern at the Federal Home Loan Bank of Atlanta in the corporate communications department. She previously spent time as a public relations intern at the Atlanta Convention and Visitors Bureau after sophomore year and as an intern with Soffritto PR after freshman year. Varman likes to keep herself busy with of clubs and activities on campus. Varman is a morning host and former executive board member of Z89 radio, co-president and showcase coordinator of Orange Pulse Dance Troupe, a member of honors fraternity Phi Sigma Pi, a member of the business honor society Beta Gamma Sigma and an orientation leader. She is also a class of 2016 graduate of OrangeSeeds which is a first-year leadership empowerment program on campus.